One of the best things about having a hobby you love is you can’t help but talk about it. I was in one of those corporate team meetings about 2 years ago where I had to introduce myself. It was one of those guided introductions where they tell you what to share. You know how it goes. They give you the questions so you won’t be one of these people. The person that talks for 10 minutes about themselves. The person that’s compiled a PowerPoint presentation of their accomplishments. That person that awkwardly stands there and wants to share nothing. How long you’ve worked here. What’s your primary job responsibility or your role? Share something with the team we don’t know about you. I’ve been to a million of these things, and my answer to the last questions has always been my love for wine. But … at that time … I was just starting to sew. Just starting to love it. 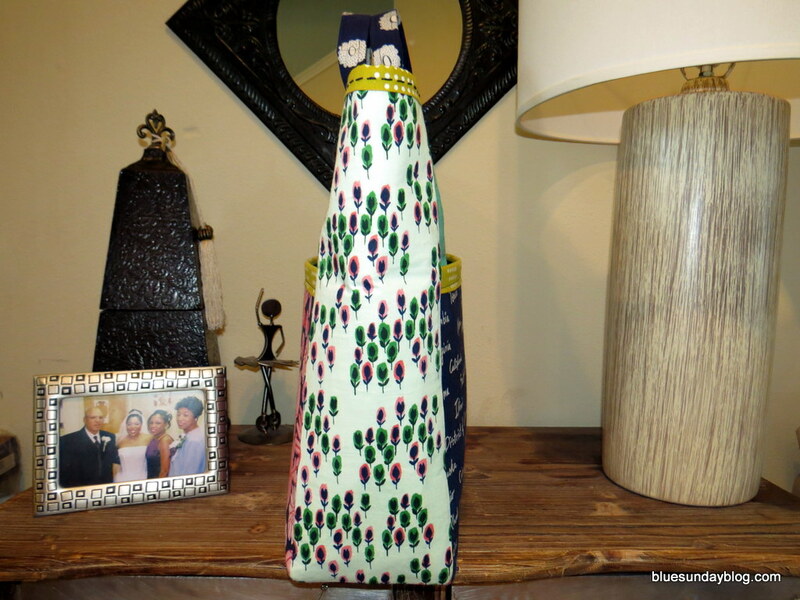 And though I still love wine … sewing was the thing I was most interested in at that point in time. “My Mom bought me a sewing machine and I’m kinda trying to learn how to sew”. I’ve learned to change this answer up a bit because it leads to follow up questions from your co-workers. “Can you make my child a quilt?” “Do you hem pants?” “My daughter’s getting married can you make her dress?” “My cousin’s having a baby and the nursery theme is planes, if I buy the fabric can you make some bibs?” People don’t hear the “I’m learning to sew” part. I’m happy I shared that about myself because when we were at break, my co-worker Juliann came over and told me she loves to sew too! Fast forward to now, Juliann is now my sewing friend Juliann and not my co-worker Juliann. Yes, we still work together. (Big Smile) Juliann and I don’t live in the same city, but we’re always having small chats about sewing. Encouraging one another through the ups and downs. Successes and failure. We also love sending one another little sewing care packages. Juliann is a great gift giver because this Christmas she gifted me with the Green Bee Boxcar Tote Kit from Craftsy. I was excited to receive this kit because I’m learning to appreciate making my own bags. I’d seen this kit and I was interested in it. Also – I’m a big bag girl. The bigger the better for me. This tote was made for all of my stuff. With that, it was first on my list to make during retreat! This was my first attempt at a sewing kit. 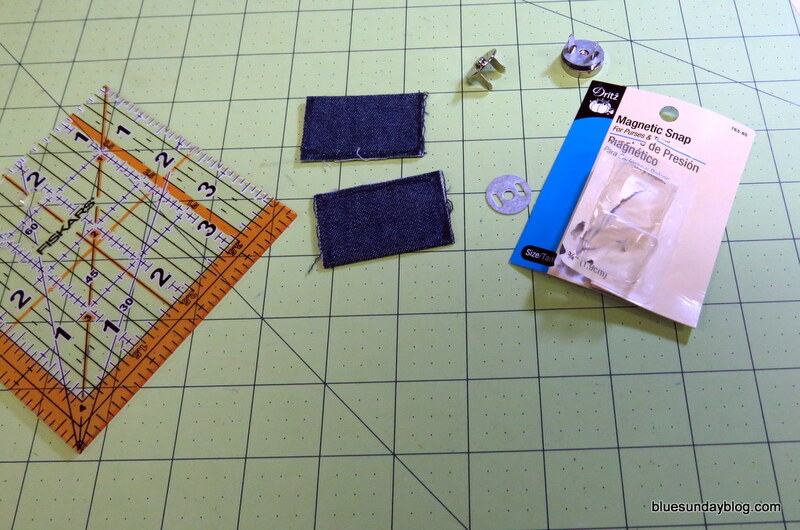 If you’re a beginner like me – you may not know what a sewing kit consists of. 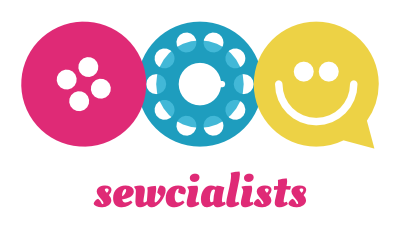 Personally, I’d never heard of sewing kits until I’d seen them on Craftsy maybe a year or so ago. A sewing kit contains almost everything you need to make a specific item. Most of the kits on Craftsy include the pattern and fabric while you have to purchase the notions …. zipper, thread, bias tape etc.. 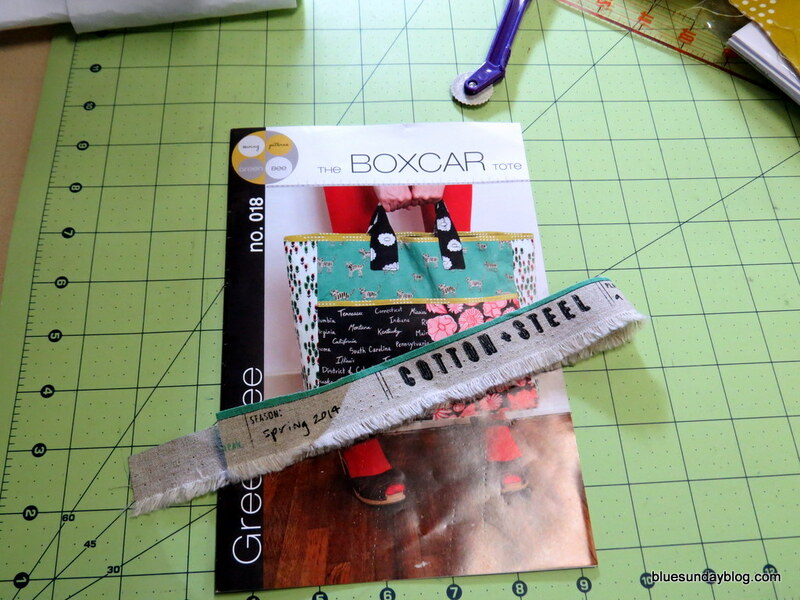 This kit includes the Green Bee Boxcar Tote Bag pattern and the Cotton + Steel fabric. 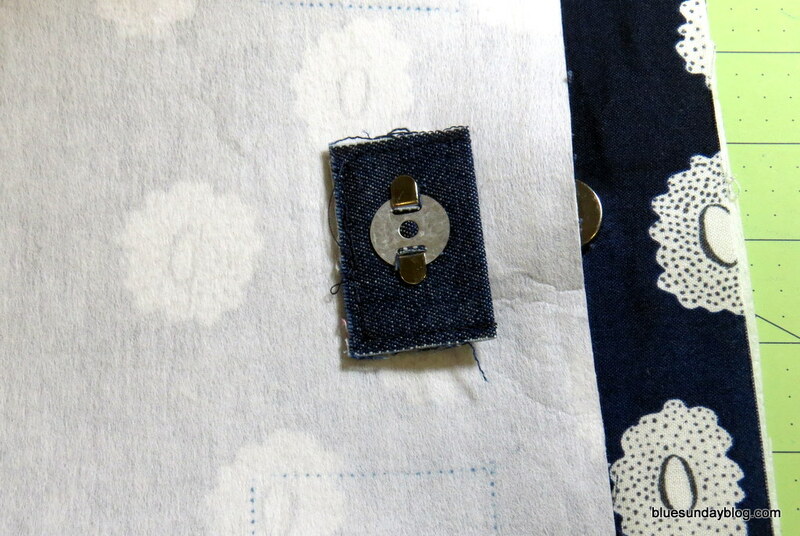 I purchased interfacing, magnetic snap, and the thread. This was my first time using Cotton + Steel and the fabric is outstanding. There’s a lot of ooooooing and ahhhhhhhing on the blogosphere about them. This fabric is fantastic! It is soft. It washes like a dream and the prints are beautiful. I do recommend being careful when you cut out your pattern pieces. You receive EXACTLY what you need to make the tote. Nothing more. 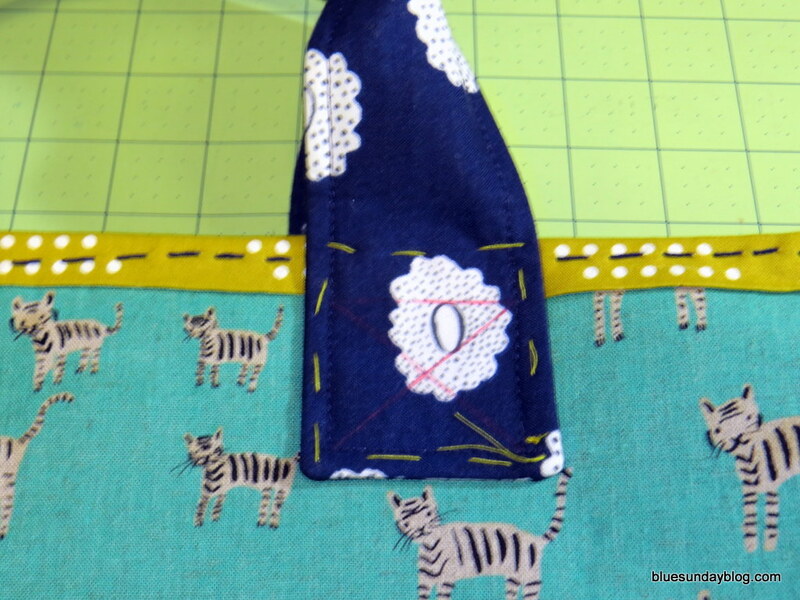 Cutting errors will result in having to purchase fabric separately. 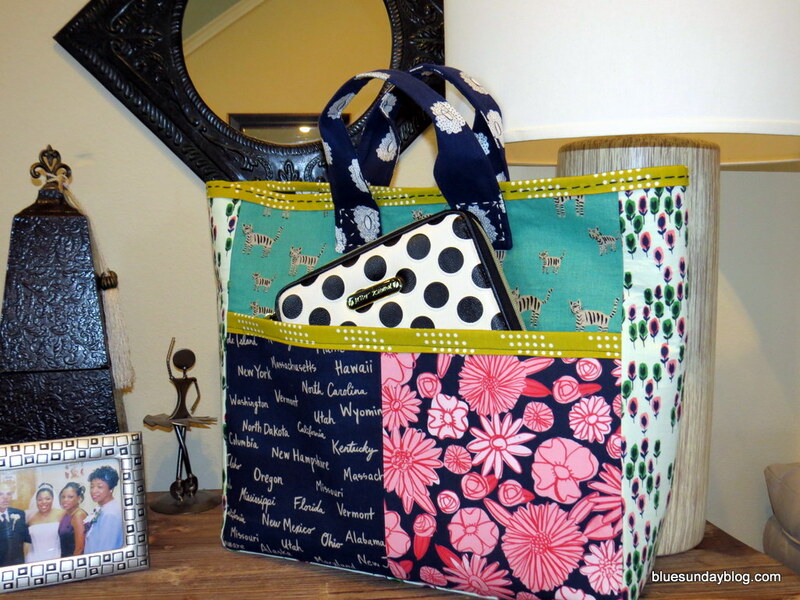 Since I’ve been sewing, I’ve made three bags including the Box Car Tote. (I’m not including zipper bags) The instructions are straight forward and easy to follow. I don’t know if I would call this pattern easy for a beginner. There are some instructions that a beginner would probably need that aren’t included. 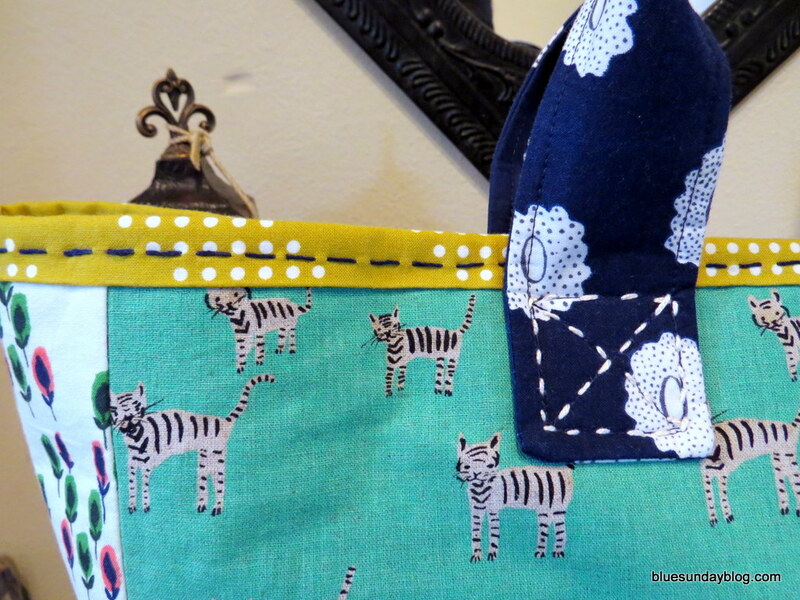 If it weren’t for my previous experience with making Amy Butler bags, I would have struggled with making this bag. An example is when attaching the bag interior and exterior. The instructions don’t explicitly state to trim seam allowances. Pre-Amy Butler, I wouldn’t have known to do that. Because of my previous experience … I know when I joined the interior to the exterior … I wouldn’t have a good fit if I didn’t trim. I purchased interfacing recommended in the pattern. But after applying the interfacing I personally prefer the interfacings Amy Butler recommends. Specifically for this bag I would have preferred the Pellon SF101. For more information on recommended interfacings you can use her interfacing chart. 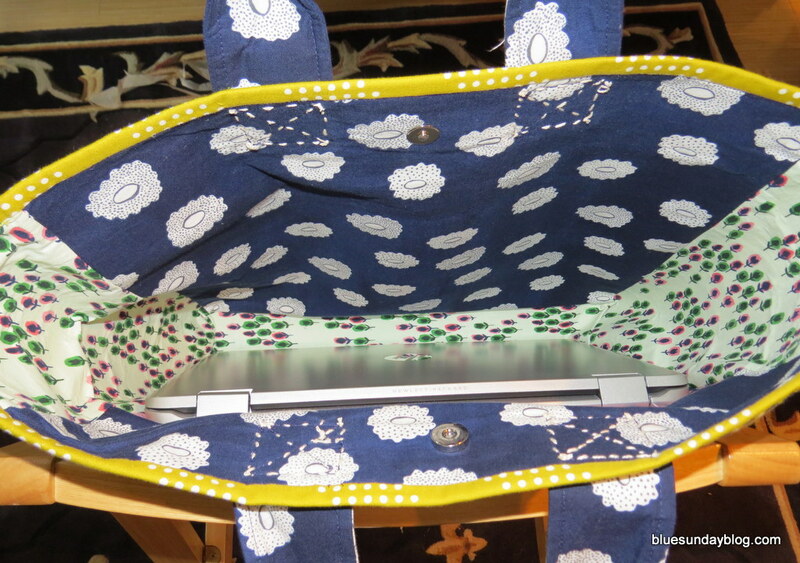 I never closely examined interfacing until I made the Belle bag. I’d just kind of feel it and make a guess. Now, I’m a little snooty about it. It makes a world of difference in every garment you make. I don’t think I lost anything by using the interfacing Green Bee recommended, but it’s all about personal preference when sewing. I prefer the Pellon SF101 Shapeflex. One thing I haven’t done to date was use a magnetic snap and I was thrilled that it was so easy. The pattern said to follow the instructions on the package. I did that with the exception of substituting the recommended cardboard backing with a heavyweight denim with a heavy-weight interfacing applied. This added to the firmness of the fabric. The instructions said the cardboard would protect the fabric from wear and tear of the sharp pieces on the back of the snap. After some thought, I didn’t want to have soggy cardboard in my bag if I ever needed to wash it. (Smile) The denim was attached to the back of the snap instead of the cardboard. Note this is the wrong side of the fabric or the interior of the bag. One technique with this bag that I found challenging was the size of it, and getting the handles attached. Unlike the other bags I’ve made, these handles attached to the exterior of the bag after the interior and exterior are attached and turned right size out. I found myself really pulling at the fabric and the machine to complete all of the stitching. There were a lot of starts and stops. This may not be a challenge for everyone, especially if you have a fancy machine or a machine with a wider base where you can fully turn the bag around while stitching. I do not. To help I basted the handles in place instead of just trying to stitch with the pins in place. Of course all of this stopping and starting did nothing but make the top-stitching ugly. What does one do with ugly top-stitching but yank it out top of the bag and hand stitched it. I’m happy with the end result. And it breaks up the bag a little. I wanted to add another touch of hand stitching to the bag, so I top-stitched over the X where the handles attach to the bag body. Overall sewing kits are cool. However they do take away from the creative experience. 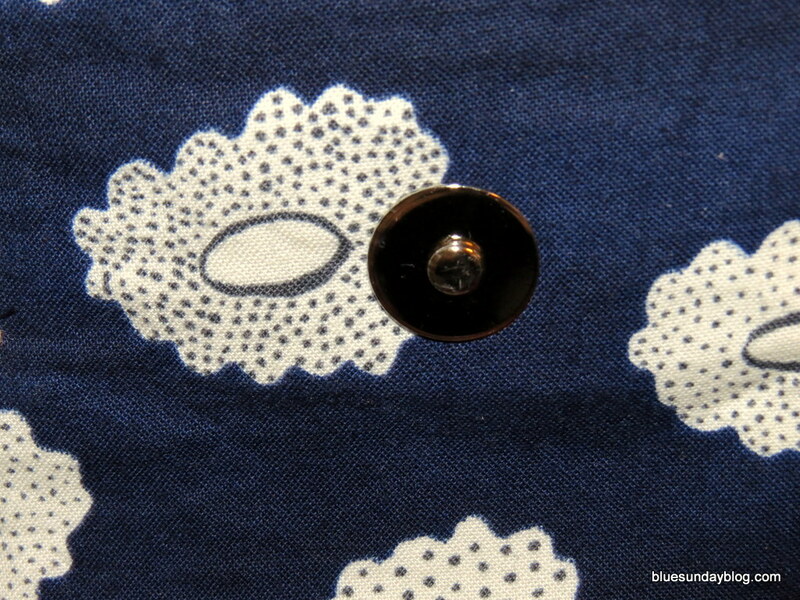 I think one of the great joys of sewing is the adventure of finding the fabric to go with the pattern. Or perusing your stash and imagining the different ways it can be used. That part of the process is completely missing. What you will make will be exactly what’s on the picture. With this make, I didn’t miss that part of the process. I don’t consider myself good at matching patterns. And I think the pattern matching on this tote is very well done. If I would have attempted to get four fabrics to blend like this it would have been the biggest hot mess ever! I’m happy the peeps at Green Bee and Craftsy made that happen. This is my new go-to bag for all of my stuff! Whether it’s the office, gym, or just one of those days when I’ll be in my car all day. It works. Measuring 16 1/2″ wide, 15″ tall, 5″ deep and the handles are 12″. The exterior and interior mega pocket can both hold my tablet in its case. The interior is large enough to hold my 17” laptop with plenty of room for other things. 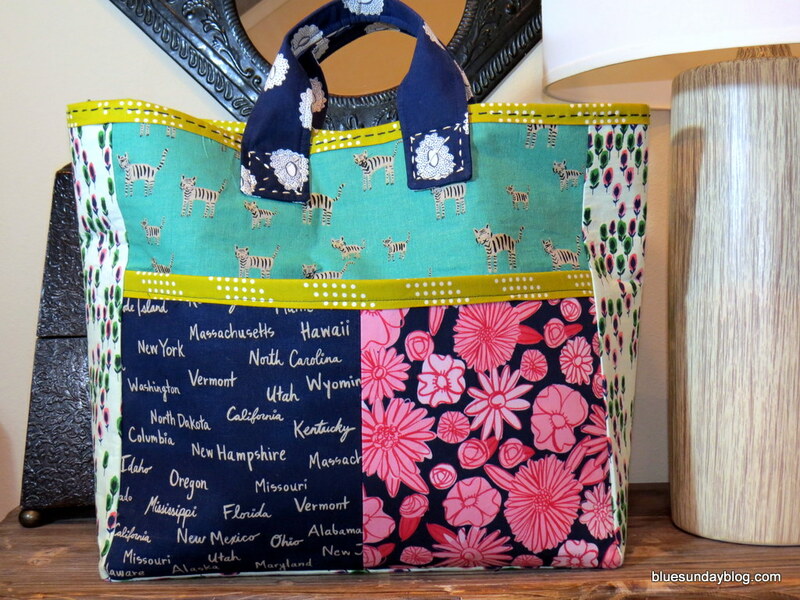 If you’re thinking about trying something new, or gifting to another maker you may want to consider this tote. Or any of the Craftsy sewing kits. I loved this! What about you, when’s the last time you were out on Craftsy? Have you tried any of their sewing kits? ← For the last time … McCalls 6702 … Failed AGAIN! When I tell people I’m a professional costumer and I make custom clothing, they usually ask me to do alterations or upholstery. People who don’t sew just plain don’t get it. 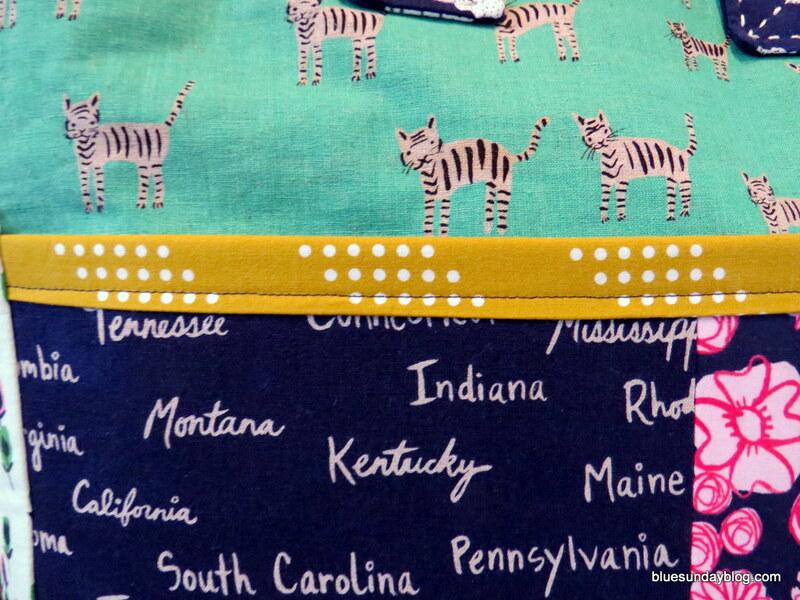 My favorite bag patterns are and always will be the ones by Erin of DogUnderMyDesk.com – and she loves SF101. I bought myself a huge 3-ring binder just to file all step-by-step photographic instructions because they are so detailed. Trust me when I say you will never waste your money if you buy her patterns! Yes, the no fitting part is the best! Bag making is a nice break from clothing – I often do something like that when I need a palate cleanser. =) The funny thing is that most people are more impressed I’ve made a bag than clothing. This bag is absolutely adorable! I have started to sew myself… I’ve completed some smaller projects…Pillowcases, baby blankets and such. I’m absolutely excited to complete my first garment – the Simplicity 1318 Kimono style jacket. I ran into your site by searching the pattern and I was able to see the one you complete, which I must say I loved the colors.